The power of regenerative medicine now allows scientists to transform skin cells into cells that closely resemble heart cells, pancreas cells and even neurons. However, a method to generate cells that are fully mature—a crucial prerequisite for life-saving therapies—has proven far more difficult. But now, scientists at the Gladstone Institutes and the University of California, San Francisco (UCSF), have made an important breakthrough: they have discovered a way to transform skin cells into mature, fully functioning liver cells that flourish on their own, even after being transplanted into laboratory animals modified to mimic liver failure. These results offer new hope for the millions of people suffering from, or at risk of developing, liver failure—an increasingly common condition that results in progressive and irreversible loss of liver function. At present, the only option is a costly liver transplant. 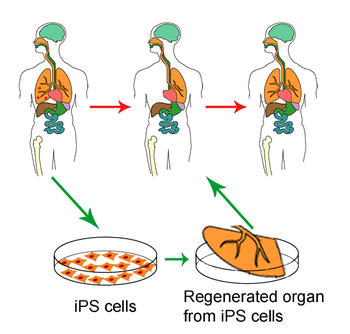 So, scientists have long looked to stem cell technology as a potential alternative. But thus far they have come up largely empty-handed.